Boarding 3AM. Sailing 4AM. Aboard the Harbour Master. Coolers Welcomed. No Glass Bottles. Surprise Guests. International DJ’s. Breakfast. Sun. Soca. 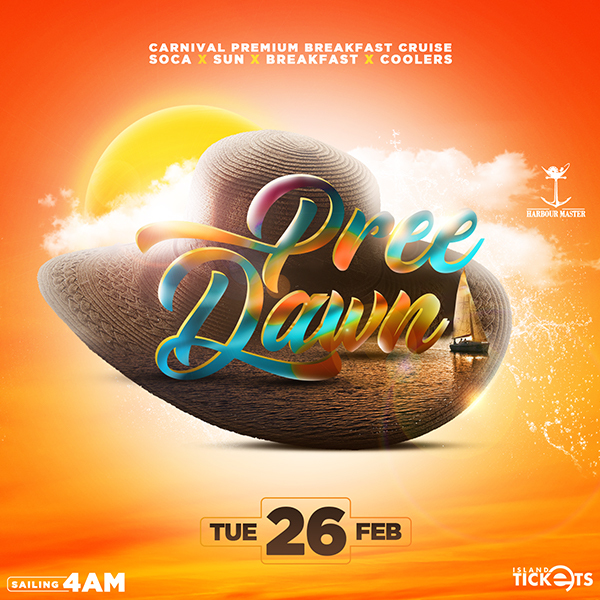 PREE DAWN is hosted by, @bunjigarlin & @fayannlyons , The Vikings.